Create your own minimal alerts for Twitch, YouTube Gaming, Facebook Gaming, Mixer and more! 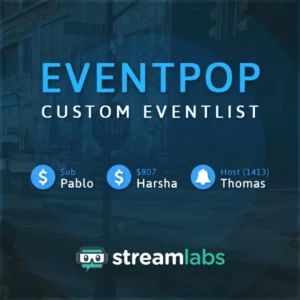 This alert system uses Streamlabs and allows you to edit almost everything about it! Destiny 2 Themed Overlays, Alerts, and more! While this was created with Destiny 2 streamers in mind, it will work with a multitude of games. Use our simple tools to choose an appearance that best suites your broadcast. Bilingual support included! Design your own Twitch Panels for free! You can also view the makers for the other items in the navigation area. No Photoshop, GIMP, or other image editing software needed! Make your own Intro, BRB, Outro, or any other scene that you need, with full customization, for your stream! This includes built in animations for your social media networks and schedule! It also has a built in countdown with messages you can change. You'll be able to swap out the colors, background images or video, text, and much more. Get started now, for free!